The Zuffenhausen firm did not discover an attraction for forward engines only yesterday. This architecture experienced its zenith with the 928 grand tourer coupé, 40 years ago already. The oil crisis of 1973 loomed menacingly over the birth of the 928. And between the green light from Professor Fuhrmann and May 1977, when it was first made commercially available, the 928 project was not spared from its consequences. Launching such a car while more and more adverse winds were blowing can only be attributed to a passion for risk-taking. The goal stated was to create a kind of super 911 with a forward-engine architecture and a rear transmission linked with a rigid shaft according to the transaxle system. It was even planned for the 928 to replace the 911, whose sales were beginning to wane. 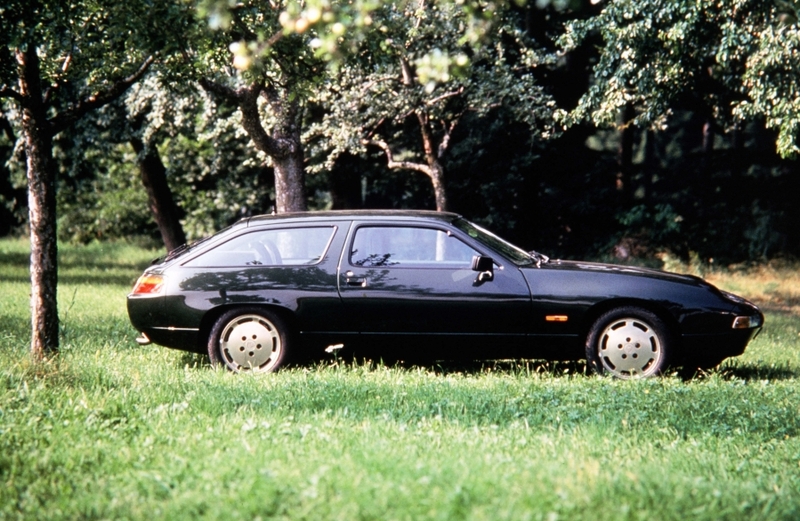 While the 924, which also had a forward engine, was the most affordable Porsche model, the 928 positioned itself at the other end thanks to its size, engine, equipment and price of 160,000 French francs. Only the 911 Turbo outdid it. The 27 individuals who were lucky enough to buy it during its first year on the market felt that they possessed the ultimate in grand tourers. This was not far from the truth. No other manufacturer had ever offered such a highly developed model in this category. Standing out on the automotive landscape of the time for its chubby line devoid of bumpers and any other aerodynamic feature, the 928 also had a 4.5-litre V8 generating 240 hp. The chassis, which focused on comfort, inherited the new Weissach axle suspension system, which featured spiral springs integrated into the shocks and an anti-roll bar on each axle. It was the ideal product for the American market, which favoured large coupés. It was also highly respected in Europe, where it won the coveted title of 1978 Car of the Year. After publishing an article about the 924 titled “An upside-down world”, José Rosinski, the celebrity tester of the magazine Sport-Auto, felt a touch of nostalgia at the end of his test-drive of the 928. He reproached it for a lack of “flavour”, the reflection of an overly perfect model. 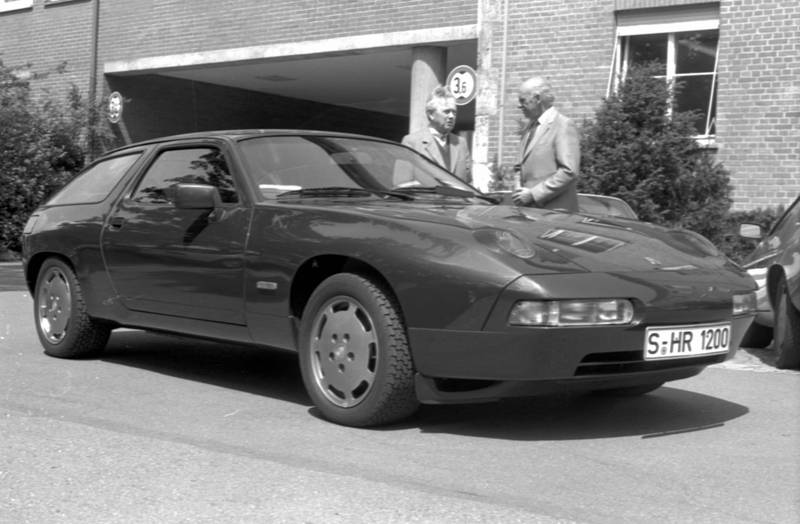 The 928 was so far ahead of its time that it remained in the catalogue for 18 years. All told, 61,448 of these cars were manufactured, including 1,940 for the French market, a very decent number for this type of vehicle. Over the course of its career, it appeared in many updated versions: the 928 S in 1979 (300 hp), the 928 S4 in 1987 (5-litre V8 320 hp), the 928 GT (330 hp) and 928 Clubsport in 1989 and finally the 928 GTS in 1991 (5.4 litres 350 hp). 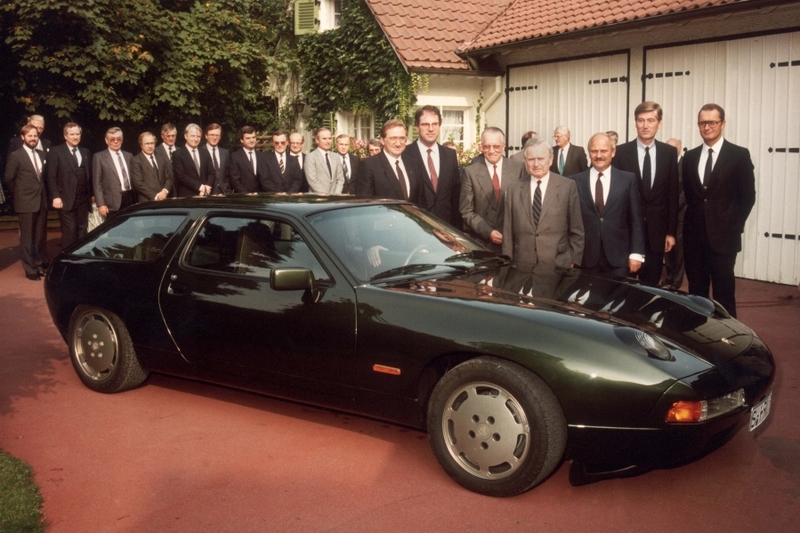 But the most exclusive 928 was undeniably the station wagon that the plant presented to Ferry Porsche for his 75th birthday in September 1984. Dark green, Ferry’s favourite colour, and 25 cm longer than the average station wagon, this historic model was the main attraction at the Porsche booth at Rétromobile.